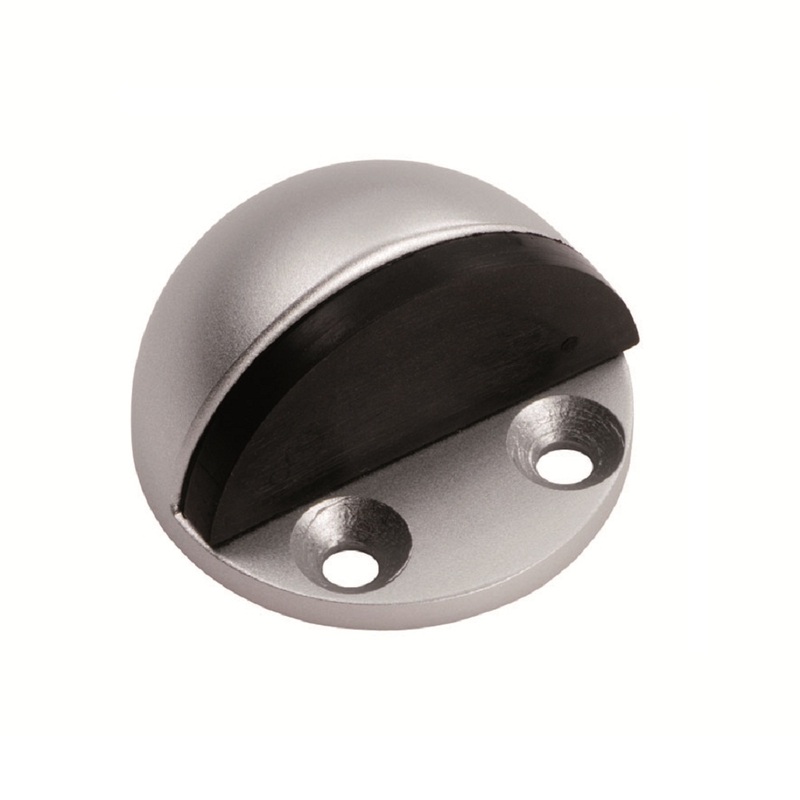 Floor Mounted Small shielded half moon shaped door stop with a substantial rubber buffer to protect doors. Part of the Aluminium range. Comes with a 10 year mechanical guarantee. Suitable for domestic and commercial use.